Is your current website promotion effective? Are you familiar with terms like crawlers, spiders, meta tags and website optimization? Are you happy with the sales leads that your website currently provides? If not, then this website is for you. and we do not want to redesign your website or alter any functionality. Just having a website is not good enough. Have a look at the amount of active websites in some of the industries and you will quickly find that you are not alone. We can help you! Clinical Psychologist - 85,900 websites in South Africa and growing. Restaurants - 1,920,000 websites in South Africa and growing. Vehicle sales - 108,000 websites in South Africa and growing. Property - 8,470,000 websites in South Africa and growing. Computers - 3,900,000 websites in South Africa and growing. Garden Centre - 190,000 websites in South Africa and growing. Weight Loss - 257,000 websites in South Africa and growing. Financial Services - 973,000 websites in South Africa and growing. Communication - 3,980,000 websites in South Africa and growing. Tourism - 3,370,000 websites in South Africa and growing. We Can Help You To Do Better Business Online! produce visibility and sales for your business. Your Website Designer - did a wonderful job designing your company's website, but can you see an increase in sales due to the new website that cost you an arm and a leg? Did you know that 95% of website designers are not skilled to provide website marketing tools or solutions? Your local Internet Service Provider - is hosting your website address or domain name eg. www.yourbusinessname.co.za Did you know that 99% of Website hosting companies specializes only in hosting services and do not provide extensive website marketing solutions. Does your website have a built-in web statistics counter - that can provide you with up to the minute results of people visiting your website? If you do not have a webstatcounter you will never be able to track visitors and accurately plan your website marketing campaigns. Untargeted traffic - It's one thing to generate lots of new traffic to your site, but is it the right traffic? If you're selling DVD's for example, you want potential buyers to visit, not people who are searching for pictures of a certain movie star. Best to make it clear in your meta information exactly what your site does, then you'll get the type of clients you're after! Single keywords - Unless you're in some incredible niche marketplace where a single word can only be identified with your product with few competitors, single keywords aren't going to hit the bulls eye in a traffic sense. Multiple word keyword phrases are the key to traffic success. Instead of going for "books", go for "thai recipe books" or whatever your target market is. You'll have far less competition for that keyword phrase than just a single word. Poor website design - There's no way around this one. You can have the best rankings in the world, but if your website looks bad, you'll lose that traffic as soon as it arrives. Good, simple, clean design always wins - sloppy design and gimmicks don't! I don't need links - Oh yes you do! Links are crucial to the traffic building game. Without links to your site from others (if they're competitors, even better), good meta information won't be enough. Most search engines will rank your web page according to its popularity with its peers. if a lot of sites link to yours, it must be good, so Google & Co. will boost your rating (link popularity algorithms). Messy meta tags - It's worth spending a bit of time getting your meta tags in order - they tell search engines what your site's about, and act as a basic marketing tool to attract visitors to your site. Check the spelling and make them relevant and you'll be off to a flyer. Website stickiness - Page design and marketing are inseparable. Once you've attracted your visitors, your traffic building exercise has gone well and your site looks good, what are you offering which will encourage return visits? Regular site updates are very useful since your site will appear active and worth revisiting. The most successful sites we've worked on have been regularly updated. After all the effort you've gone to in gaining traffic, it's worth considering how to hang on to it. Beware of rogue "Experts" - Before handing your hard earned money over to "Site Submission Experts", be sure to find out exactly what you're getting. They may claim to be able to submit your site to "30,000 engines", but let's be honest, there's only a handful which create almost all the search traffic on the web, so you can submit yourself. Some firms claim to guarantee you a Top 10 ranked page - yes, if your search phrase is 8 words long. It's not that easy in reality. Reputable firms can help you optimize your pages, and advise you on how best to market your site to your target audience, so best to do some homework first. Patience - A common mistake of website marketing is not having the patience to continually improve on your efforts. Building traffic is an ongoing activity. After your initial hard work, you should check your pages on the engines and "tweak" them if the results aren't as you expected. Traffic is the oxygen of the Internet and your site is dead without it, so regularly give your code a tune-up and resubmit if necessary. Don't over submit though. If you look at your server logs, you'll see the major engine robots visiting on a regular basis, they'll pick up your changes soon enough if you can afford to wait a week or so. 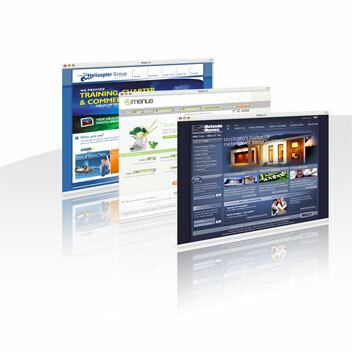 We register your website with the prominent search engines. We optimize your website coding for better search engine rankings. We develop your unique website marketing campaign to greatly improve your search engine rankings, increased visibility through online advertisements and targeted traffic to your website. We can accurately increase your visibility in a specific country or countries. We provide you with important campaign statistics on a monthly basis, so that you are able to see the results and increased traffic to your website. We provide all these services and more at a nominal fee of R250.00 per month, so please contact us directly on 086 7222 835 during office hours, or email us at info@promoteyourwebsite.co.za so that we can discuss the incredible advantages in more detail. Agents required nationwide, click here for more information.